Submerged wrecks and the stories behind them are the main reasons to don your mask and tank around Campeche. The Gulf of Mexico attracts hundreds of scuba enthusiasts every year and without a doubt the marine life viewing is fantastic. However, submerged wrecks and the stories behind them are the main reasons to don your mask and tank around Campeche. The city of Campeche, the state’s capital, was the most important port in the Yucatan Peninsula during the Colonial Era. It was a prominent commercial port for the Viceroyalty of New Spain, as Mexico was once known, making it a strategic point for mainly French and English pirates and corsairs who would attack and loot the Spanish ships. The depths of the Gulf of Mexico hide the remains of numerous shipwrecks from different eras, providing a unique experience for visitors. Among schools of fish and coral reefs, you will find masts, keels and canyons, once part of magnificent ships that today make up a unique underwater landscape. To date, the National Institute of Anthropology and History (INAH), has identified more than 20 submerged archeological sites. One of the most interesting is the ship from the New Spain fleet that set sail from Cadiz in 1630 and became shipwrecked in 1631 when a violent storm kept it from reaching its destination. Just as intriguing is the wreckage of the English galleon named The Fishing Boat that sunk over two centuries ago. 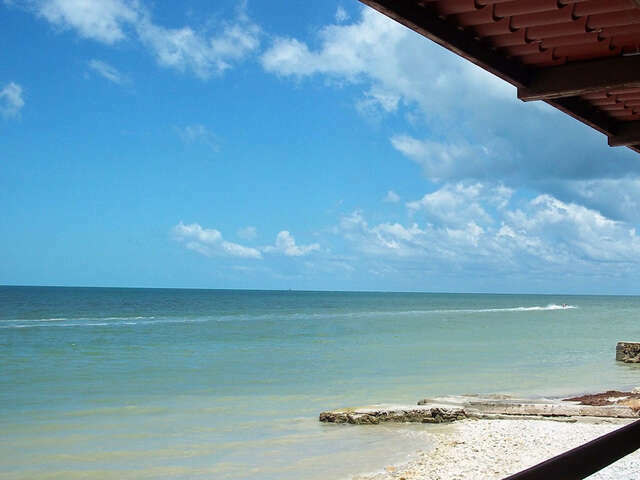 Excursions to explore the underwater archeological sites along Campeche’s coast are suitable for both fit beginners and experienced scuba divers. A trained guide and proper equipment are essential for this unparalleled underwater adventure in Campeche.